I doubt he was a drunkard in the video shown above. I think he was just fooling around on the farm. For twelve winters Judge Rutherford and his office force occupied Beth Sarim. It was not used as a place of ease or vacationing, but was used as a winter workshop; the books from Vindication, Book One down to and including Children were written there, as well as many Watchtower articles and booklets. The executive instructions for branches all over the earth also were transmitted from Beth-Sarim during the Judge's presence there. At Beth Sarim, Judge Rutherford completed the 1942 Yearbook material as his last work before his death. He dictated this material from his dying bed. 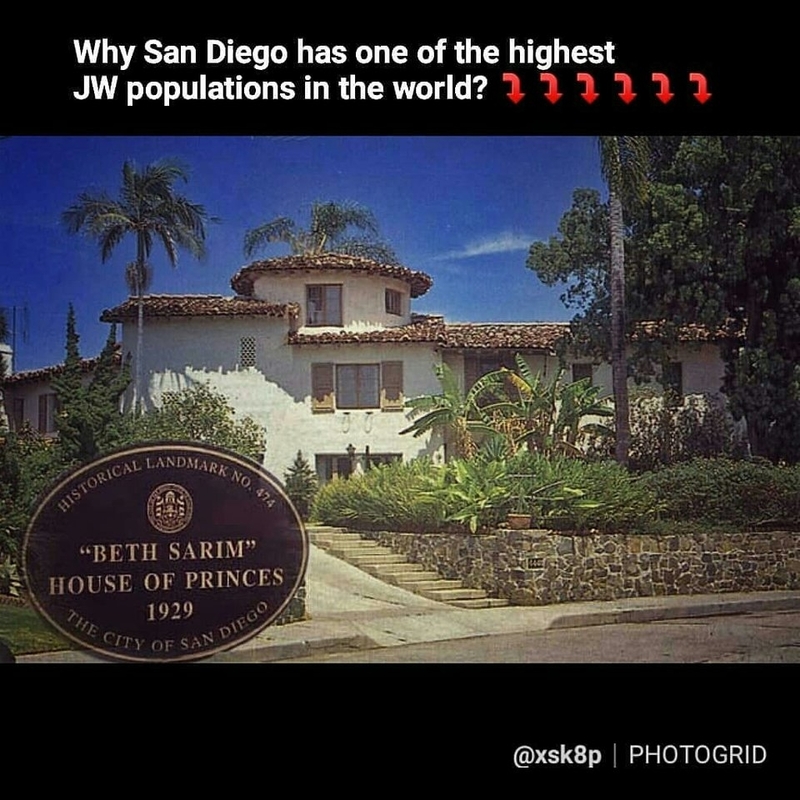 English: Picture of Beth Sarim: House of the Princes, built to be inhabited by the expected resurrected Old Testament Patriarchs and used as a winter home for Judge Joseph F. Rutherford, Watchtower president (1917-1942), who gave the religious group the name "Jehovah's Witnesses." The house was built in 1929 and sold by the Watchtower Society in 1948. The house has been designated Historical Landmark number 474 by the City of San Diego. The video was shown at Bethel to the entire family, and I don't think it would have been shown if those who made that decision to show it, thought that it definitely showed him in a drunken condition. However, there are at least two other pictures of Rutherford that show him in a condition that is almost the definition of what we would expect a drunk to look like. But Brother Rutherford evidently did [allegedly] suffer from alcoholism, and it was not always apparent when he was under the influence. Hayden Covington, the Society's attorney, has admitted this to others, and even to relatives of mine. Of course, Hayden Covington, was himself an admitted alcoholic, who was disfellowshipped for related behavior. So his claims might be biased. On the other hand, the elder who was my own table head at Bethel said the same about Rutherford, and much more. Another friend of mine from Bethel, Arthur Worsley, Brother Swingle's roommate before Lyman married Crystal, has admitted that he lied under oath to protect Rutherford out of fear of being kicked out of Bethel at the Olin Moyle trial. Don't know if the booklet from the 1930's is related to Rutherford's alleged alcoholism, but it is titled "Prohibition and the League of Nations - Born of God or the Devil, Which?" Rutherford had spoken out against liquor prohibition as "born from the Devil" as far back as 1924 or earlier. "Rare video footage of Judge Rutherford"? Don't really know how clips from Youtube could ever be considered as "rare"?? Look :Â What a beautiful picture. To see a Brother on a wheelchair,Â butÂ yetÂ heÂ stillÂ findsÂ theÂ willÂ the strengthÂ toÂ serveÂ JehovahÂ andÂ preachÂ theÂ goodÂ news ! Â Â Â Â Â Â Â Â Â Â Â Â ? ? ? ? ? ? ? ? ? ? ? ? ? ? ? ? ? ? A state appeals court has upheld $2 million in legal sanctions against the Jehovah’s Witnesses after the religious organization refused to produce internal files and documents in a lawsuit that alleges sexual misconduct by a former elder in the organization. Osbaldo Padron sued the local Playa Pacifica Congregation of the Jehovah’s Witnesses, also known as the Watchtower Bible and Tract Society. Padron claimed he was molested on multiple occasions as a child by Gonzalo Campos, who was also associated with the Pacifica Congregation. Padron’s attorney, Irwin Zalkin, obtained internal church documents through the legal discovery process. Zalkin agreed to a confidentiality and nondisclosure agreement, which was signed by both parties to the litigation. But in 2015, a dispute arose over Watchtower’s refusal to produce additional documents requested by Zalkin. The organization argued, in part, that the order, issued by Superior Court Judge Richard Strauss, violates its First Amendment rights as a religious organization. Judge Strauss disagreed, and last year imposed monetary sanctions of $4,000 a day for every day Watchtower failed to search for and produce the documents. Watchtower appealed Strauss’s order, and on Nov. 9, a three-member panel of the state Court of Appeals upheld Strauss’s ruling. In a unanimous decision written by Acting Presiding Justice Richard Huffman, the justices said Watchtower has abused the legal process and must pay the court-ordered sanctions. Plaintiff’s attorney Zalkin says the sanctions started on April 16, 2016, and at $4000 a day, now total more than $2 million dollars. In the conclusion to their 39-page ruling, the justices said: "... the superior court has shown great patience and flexibility in dealing with a recalcitrant litigant who refuses to follow valid orders and merely reiterates losing arguments." The alleged molester, Gonzalo Campos, could not be found for comment. 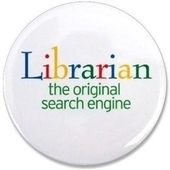 "We are evaluating our legal options at this time," the organization said. In papers filed in the Padron lawsuit, Watchtower denies Padron’s allegations of abuse and argues that even if an elder did molest a child, the parent organization has no control over that abuse, and is not responsible for harm done to that child.